It's what's behind the wall that counts. A home is usually the most expensive purchase an individual will make in their lifetime. The systems that make up a home are complex and are expensive to repair or replace. Whether the home you are purchasing is a new or existing home it can still have deficiencies that have been overlooked. The amount of money you spend on a home inspection is very small in comparison to the amount you are paying for the home. One system failure can cost extraordinary amounts of money and can leave you and your family in discomfort. Do not skip this crucial step in the home buying process to save money only to regret this decision later. It pays to have any home inspected. I highly recommend Dependable Home Inspections to all of my clients as their dependable staff delivers exceptional customer service from scheduling to inspection reports. Kevin Burnley responds to calls fast and efficiently and is always more than willing to answer any questions that my clients (or myself) may have about the inspection process in a professional and straightforward manner, so everyone is comfortable and on the same page. Aside from customer service, DHI reports are easy to read and follow, complete with pictures and detailed wording explaining all issues. Dependable Home Inspections offers a variety of inspections, such as mold/air quality and lead based paint, in addition to home inspections, and the staff is sure to provide high quality service at an affordable price. I would like to confirm that I have dealt with Kevin Burnley and his company Dependable Home Inspections for the last 3 years. In that time they have provided my business with excellent service, and support. There have been times when we had forgotten to do the blower door test, and Kevin has personally gone out there that day and did the blower door test. Kevin and his company go above and beyond in order to get the job done. Kevin Burnley with Dependable Home Inspections, I can only say good things about this company. They have done inspections on two of my homes. Very dependable, prices are great. Even after the inspections, I have called to ask questions on how hard would it be to fix something. Kevin took the time with me and explained exactly how to fix it. My daughter is a Realtor, enjoyed working with Kevin and will recommend him too her clients. I have and will continue to recommend Kevin with Dependable Home Inspections to my friends. Dependable Home Inspections…the name says it all! They are fast, dependable and efficient when conducting energy audits on our newly constructed homes. I had to invest in a new air conditioner/furnace and learned that if if I had a home energy audit I could be eligible for a rebate from Georgia Power. Kevin and his crew came out and performed the audit which consisted of measuring the air leakage after pressurizing my house. The Dependable crew was courteous and informative as I learned about some sealing of vents as well as replacing lights will LED’s for efficiency. 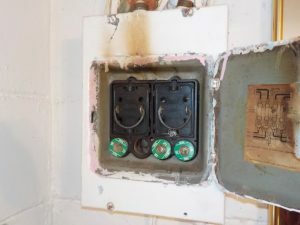 The result was a rebate of over $2000 and noticeable lower energy bill in the summer and winter. At Dependable Home Inspections we provide our clients with a quality home inspection and give our clients an easy to understand computer generated report within 24 hours of the inspection. We know that providing a service in a timely manner is of great concern to our clients along with receiving top notch service. We also provide energy efficiency and environmental services. 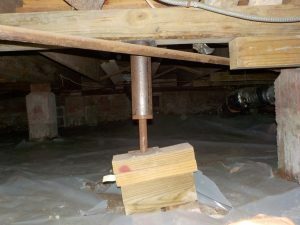 A PROPER HOME INSPECTION WILL SAVE YOU MONEY! A comprehensive home inspection will uncover issues that could cost a homeowner thousands of dollars. Worn out air conditioners, leaking windows, dry rot, termites and roof issues to name a few should not be left to be discovered a year or two down the road.